Google Chromecast can remember only one WiFi Network at a time. 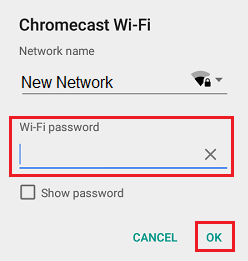 Hence, you will have to go through the steps to change WiFi network on your Chromecast, in case you change your Router or move Chromecast to another part of the house where you have a new WiFi Router setup. 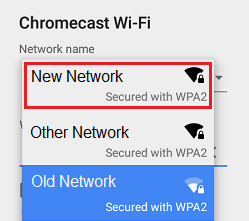 It is really easy to change the WiFi Network on your Chromecast in case you had already setup Chromecast and the WiFi network to which Chromecast is connected to is still active. However, things can get complicated when you change your Router and the Google Home App on your iPhone or Android Phone is unable to recognize your Chromecast. In this case, the best option is to Reset Chromecast and set it up all over again. As mentioned above, changing the WiFi Network on Chromecast is easy when your existing network is still active. 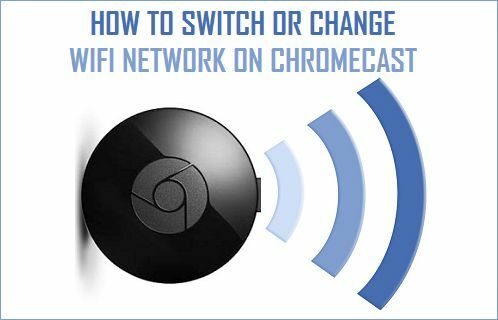 In this case, you are basically switching Chromecast from one network to another. 2. Now, open the Google Home App on your iPhone or Android Phone. 3. Next, tap on the 3-bar Menu icon located at the top left corner of your screen. 4. From the Menu that appears, tap on Devices. 6. Next, tap on Settings from the drop-down menu. 7. On the Settings screen, tap on the WiFi option. 10. Next enter your WiFi Password and tap on OK. Note: In case you get an Error Message, make sure that the WiFi network on your phone is matching with the WiFi network on Chromecast. 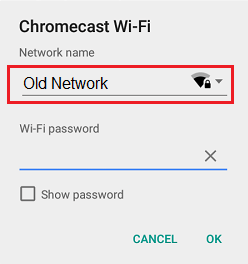 When you change your Modem or Router, the new WiFi network on your Phone will not match with the WiFi network on Chromecast. Hence, it is more than likely that your iPhone or Android Phone won’t be able to sense your Chromecast. Hence, the best option in this case is to Manually Reset Chromecast. 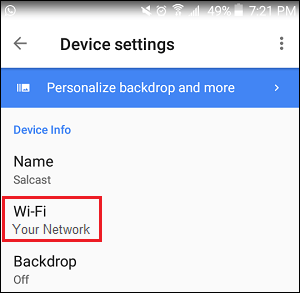 This will wipe out the old WiFi network and settings on Chromecast, after which you can setup Chromecast to use the New WiFi Network. 1. Make sure that Chromecast is plugged into the TV and Power supply. 2. Next, Hold Down the Reset Button on your Chromecast (the only button next to micro USB port) for about 15 seconds. 3. As you are Holding Down the Reset Button, you will see the light on Chromecast Flashing continuously. Release the Reset Button when the light stops flashing and stays Solid (without flashing). 4. 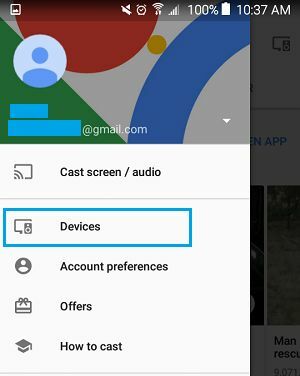 Chromecast will Reboot and then Reset itself to Factory Default Settings. 5. 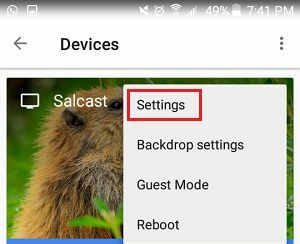 Now that your Chromecast has been Reset to Factory Default Settings, you can start Setting Up Chromecast to use the new WiFi Network using steps provided in this article: How to Setup Chromecast on Android and iPhone.